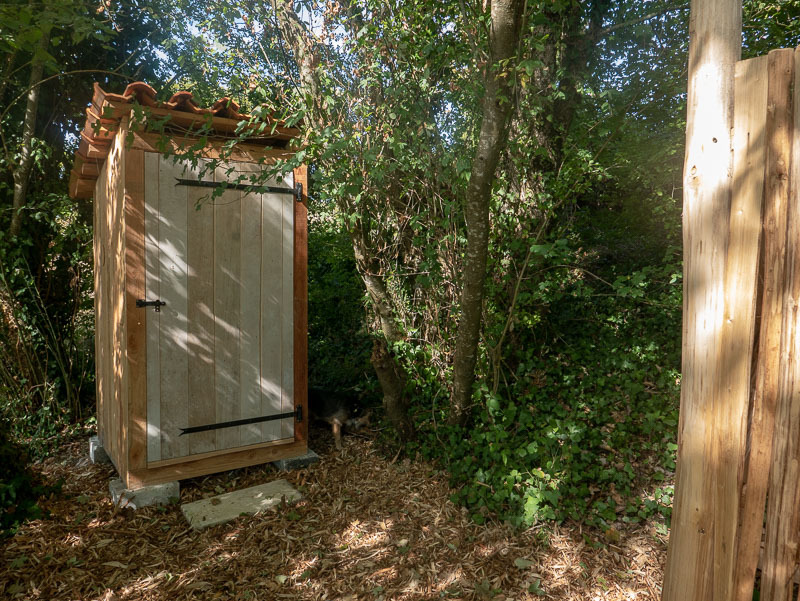 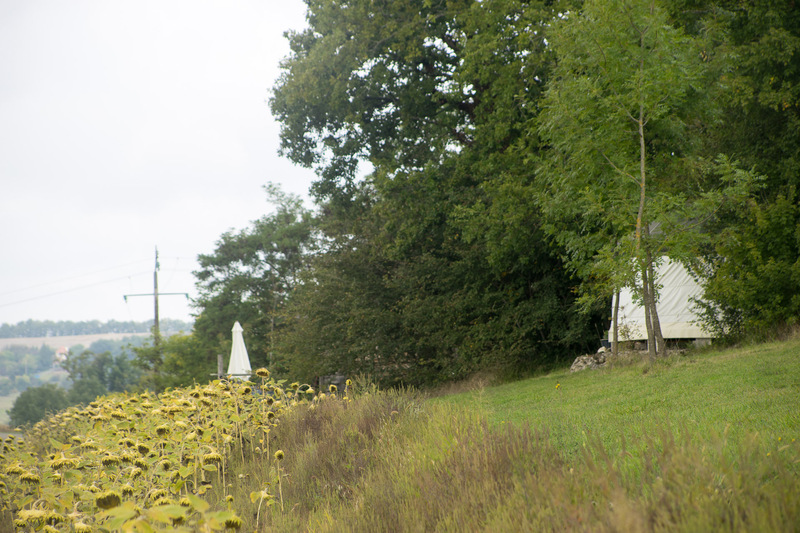 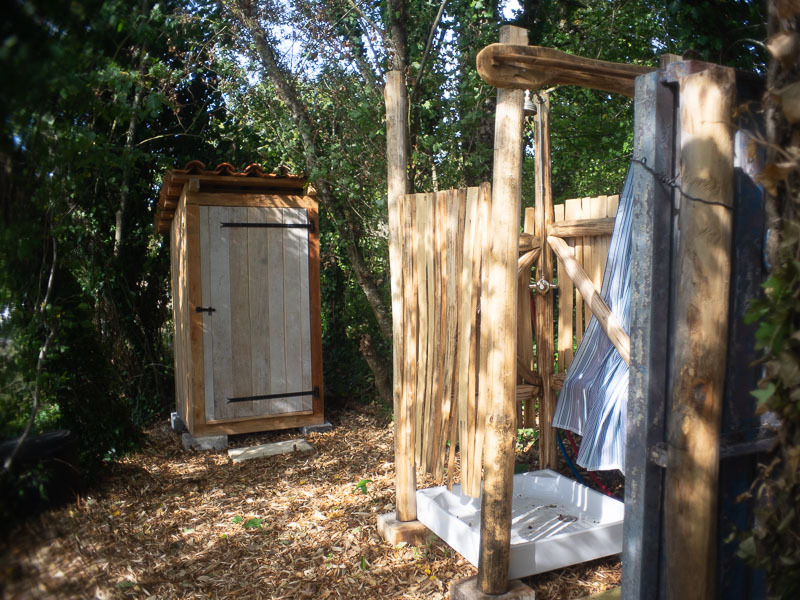 Le Petit Abri will be metamorphosizing for 2018 season to become La Cachette, with its own shower and kitchen and a separate compost loo. 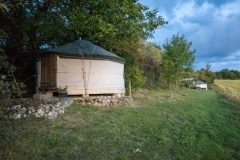 Tucked away amongst a few trees with an open aspect to the south-west over rolling hills and farmland and on to pantile roofs in the distance. Walk down your own private track and take in the spectacular view as you reach your hideaway destination. 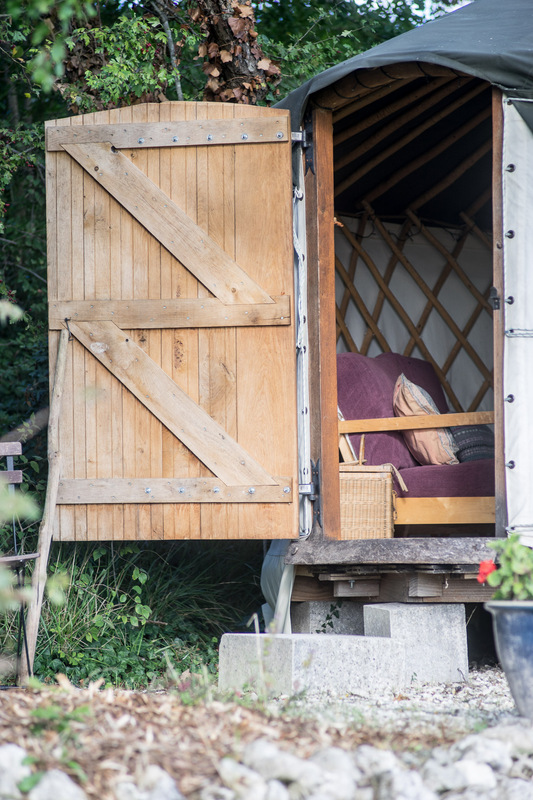 The yurt is sat upon a chestnut parquet deck and just next door is a small terrace leading into the kitchen, a renovated horsebox. 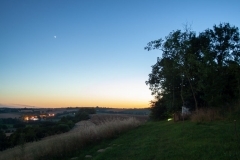 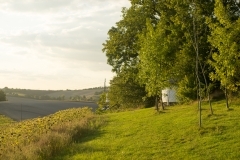 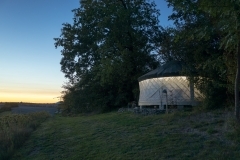 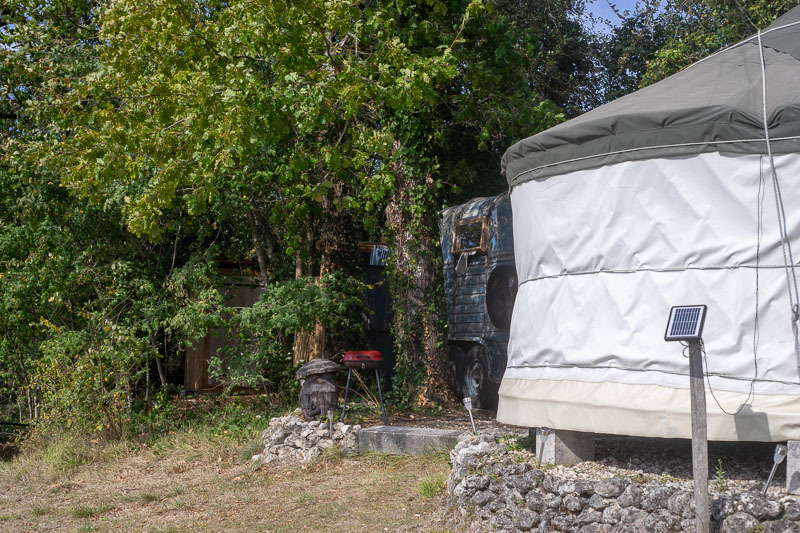 This hideaway is compact but offers very easy access to sunshine and shade so that you can be comfortable whatever the weather and when the evening comes there are excellent views of the setting sun and needless to say the star gazing is exceptional. 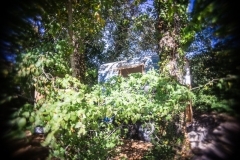 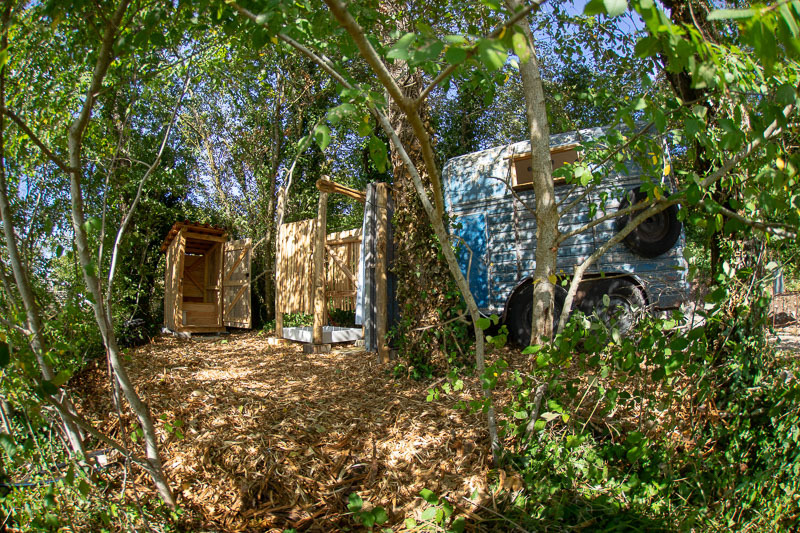 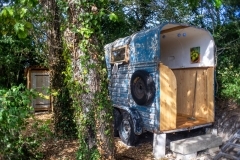 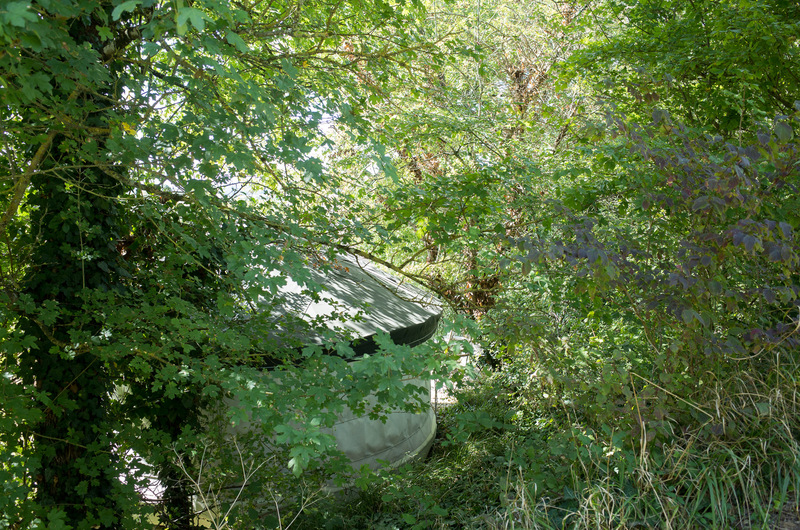 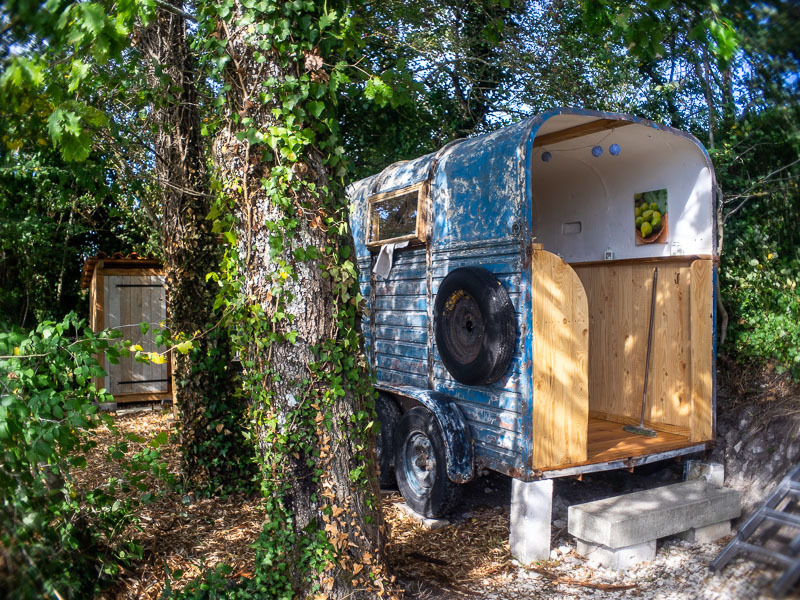 This hideaway is a little bit more compact than the other ones but that makes it nice and cosy and it offers a great alternative for those that are looking for more of a budget getaway at Quirky Camping! Despite the lower price per night we have carefully designed La Cachette to ensure that all the essential elements that we believe make a stay with us such a great experience, are still provided. The beautiful, hand-crafted yurt at La Cachette is tucked away amongst the trees so it is a joy to sit inside and look at the walls to see the shadows of the leaves and branches projected onto the canvas in the sunlight. 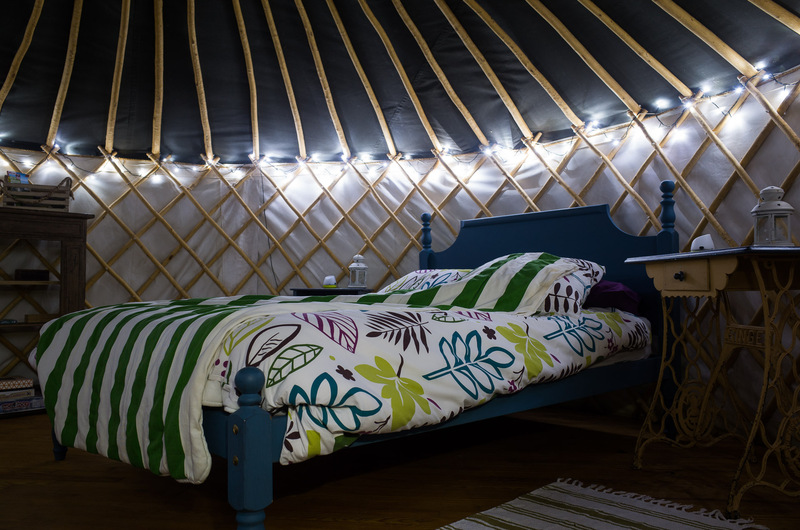 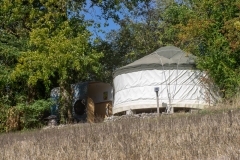 Being slightly smaller than our other yurts it has a cosy, homely feel but there is still plenty of room for the double bed (and an additional single bed if you are coming with a friend). 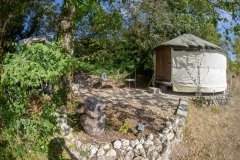 We love making the most of rustic furniture that we have found or been given, so La Cachette is full of bits and pieces that we have and lovingly restored and revamped to provide a unique bedroom combined with a living space, to which we have added gorgeous bed linen, rugs, solar fairy lights, bedside lanterns and plenty of books and games, as well as local information and maps to help you explore the best of this lovely area. 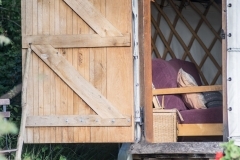 At the moment this is in the barn being restored but by the spring it will be in its permanent home with its own timber dining and barbeque deck. 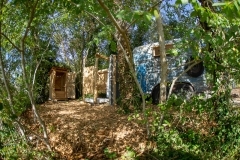 We're very excited about the project, so watch this space!! 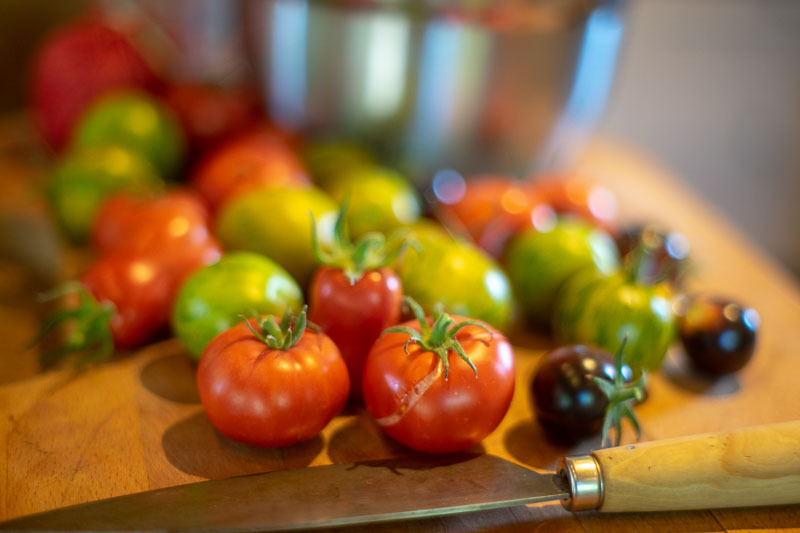 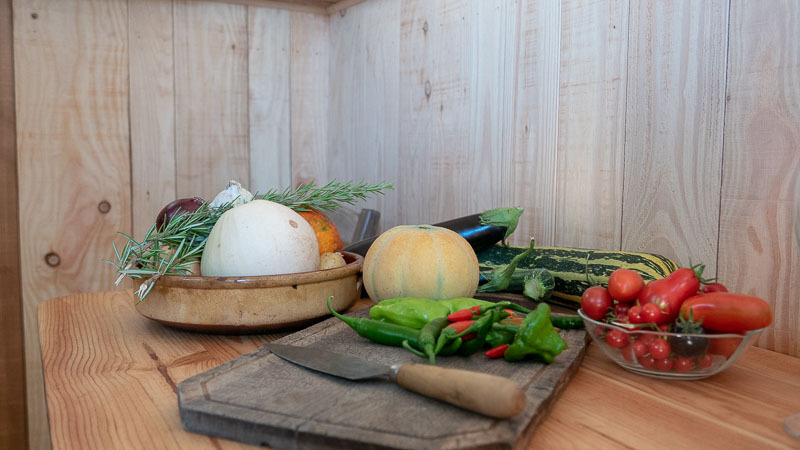 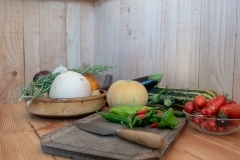 It will be fully kitted out with everything you need so that you can get creative with all the lovely food (and wine) that is available in the local area or from our big veggie patch that is only 50 meters away! 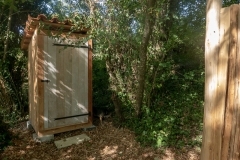 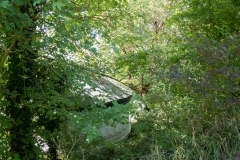 The solar shower will be positioned at the front of the horsebox along with a washbasin, it will be compact and quirky! 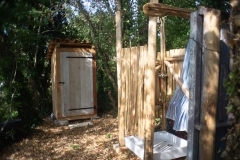 The composting loo will be placed over towards the edge of the hideaway to give total privacy but benefit from the beautiful views! 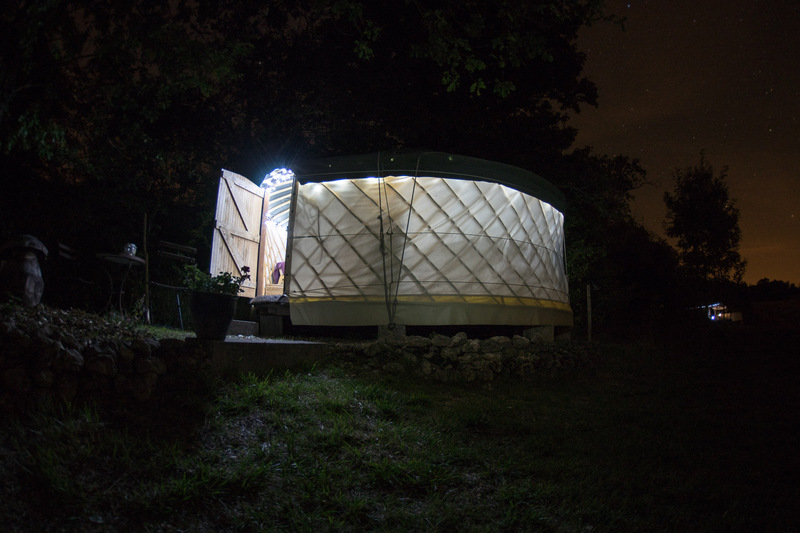 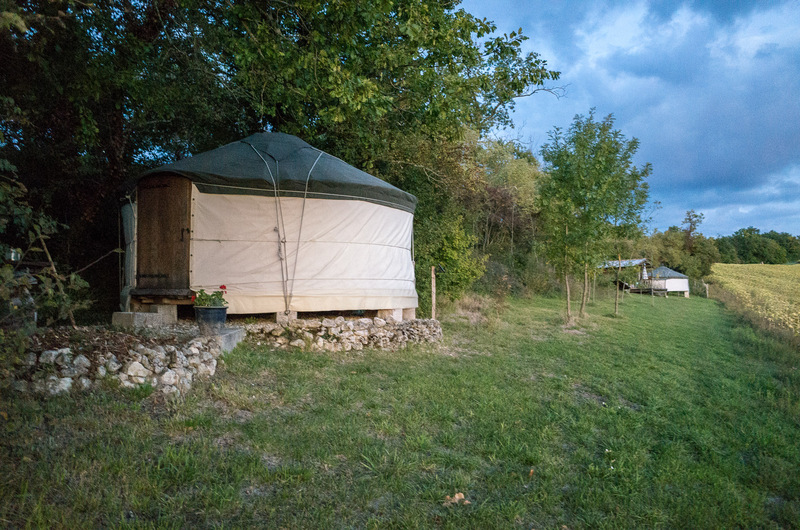 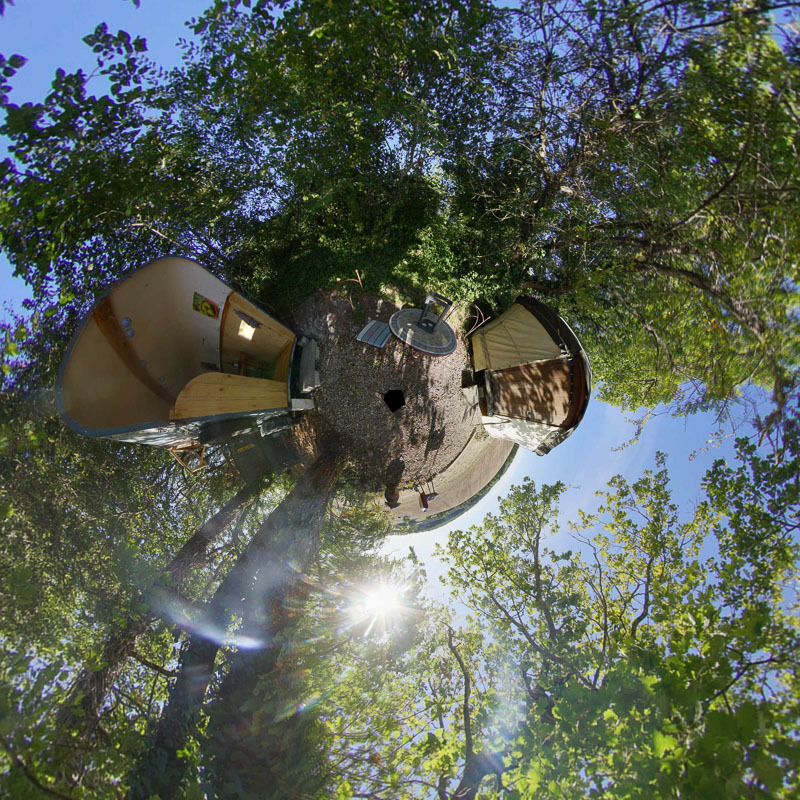 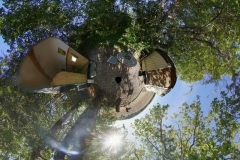 Take a Look inside a 360° photo of the yurt. 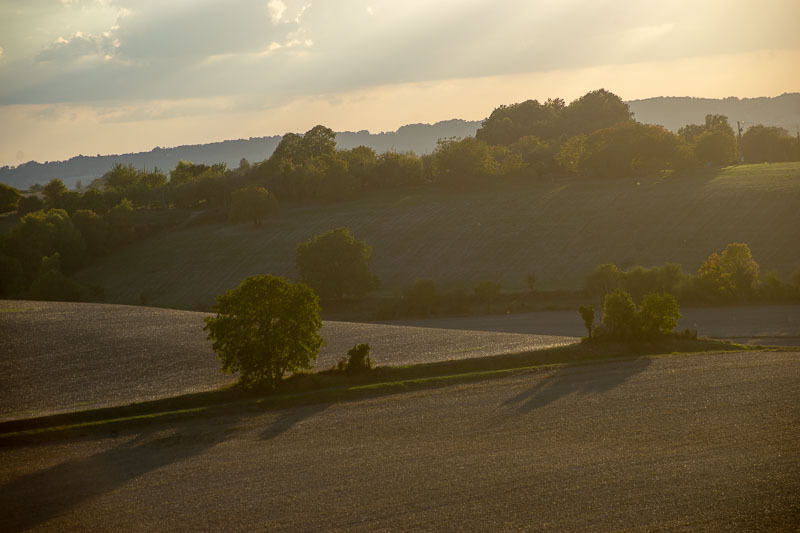 Remember to view it full screen for the best effect! Press to start (and stop) the tour.